We just don’t use the tool to set up and forget, it is monitored and managed manually by our Amazon Ads PPC Management Experts as well as powerful automation tools for amazon ads. We understand how important it is for you and we make sure you get the best out of each campaign setup so that you keep making money. If you keep making money, we keep making money, if you’re happy we are happy too. Each of the account we manage is personally audited by team managers for performance and reported to client on weekly basis. We are so confident that we offer 100% money back in case we fail to decrease your advertising cost of sales (ACoS) in one month. 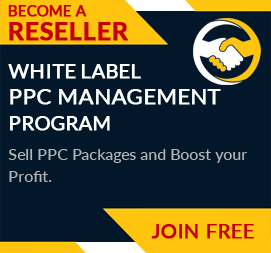 Become our reseller and get great discount on amazon ads management pricing. Many PPC Agencies outsource their Amazon PPC Management to us, upprice and boost their profits. Sign up to get started here or contact us for any custom query. With PPCPapa as my business’s account manager for Amazon, the products have been in the top of the listings. They know their work well and helped in generating maximum profit.